Does your dog sleep with you? Opinions vary widely on whether or not we should allow our dogs to sleep in the same bed with us. Some people are appalled at the idea, and some wouldn’t have it any other way. I’ve heard people say; “It’s unsanitary!” “It’s unhealthy!” and “It encourages bad behavior.” But, those of us who do sleep with our dogs have our own reasons; “It’s reassuring!” “It’s relaxing!” “My dog loves it!” we insist. So, is there any hard data to support either claim? Sleep, first of all, is affected by a number of very personal factors. Relaxation is important. Security and comfort seem necessary for that relaxation to occur. Interruptions are not helpful, but people deal differently with them. Some are irritated and unable to resume sleeping, while others take an interruption in stride and return to sleep easily. Are there health risks to bedding down with your pooch? Web MD asked Dr. Derek Damin of Kentuckiana Allergy, Asthma & Immunology in Louisville, who merely warned allergy sufferers from engaging in the practice: “Use a HEPA filter and keep them out of the bedroom to give your nose a few hours a day to recover,” he says. Other than that, the doctor sees no other health risks and, in fact, Dr. Damin sleeps with his own miniature dachshund! Dr. Damin also pointed out that, of the pet owners he treated who found out that their animal was causing their allergies, most would not stop allowing their pets in bed with them. Instead, they opted to treat the problem with allergy shots and antihistamines. Folks who reported sleep disturbances were no different. Doctors who treat insomnia find that 53% of dog and cat owners, who sleep with their pet, report that the animal disturbs their sleep nightly. Unfortunately, most of those owners are unwilling to change the behavior to improve sleep quality either. Is sleeping with your dog an addiction? 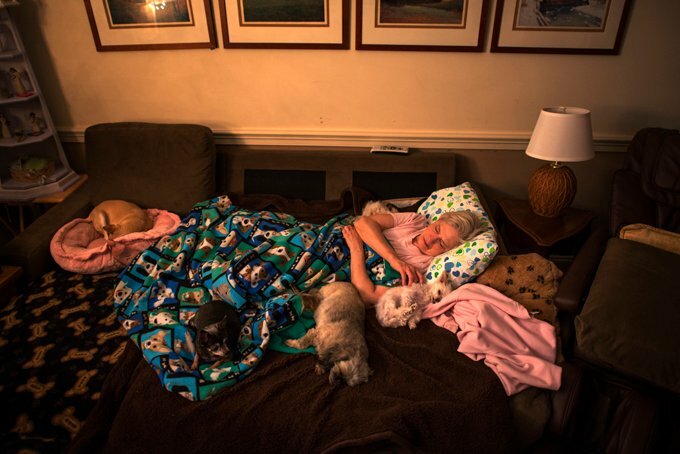 Why are so many people letting their furry friends into their beds? What’s so great about it? There are a number of positives for letting your dog sleep in bed with you. A dog not only keeps you warm at night, they are powerful anti-depressants too. Service dogs are trained and acquired for the express purpose of relieving anxiety in humans. Allowing your dog to sleep with you can simply relieve stress, anxiety and loneliness. Having a dog in the room can make you feel more secure. Whether the dog is big or small, they will alert you if anything or anyone comes near. Sleeping with your dog is not only beneficial for you, it will make the dog happy too. As long as your dog is well-balanced, sleeping in the bed will thrill them. Dog behaviorists only warn against allowing dogs that become territorial and aggressive toward the other dogs, children or people when allowed on the bed. So then, it’s simply a matter of choice. What is stressful or irritating for one person is reassuring and relaxing for another. Of course, for those of you who sleep with another human, it’s probably a good idea to make sure you both feel the same way before letting your sleeping dogs lie. Rest assured there is nothing wrong with it and, in fact, it’s a compliment! 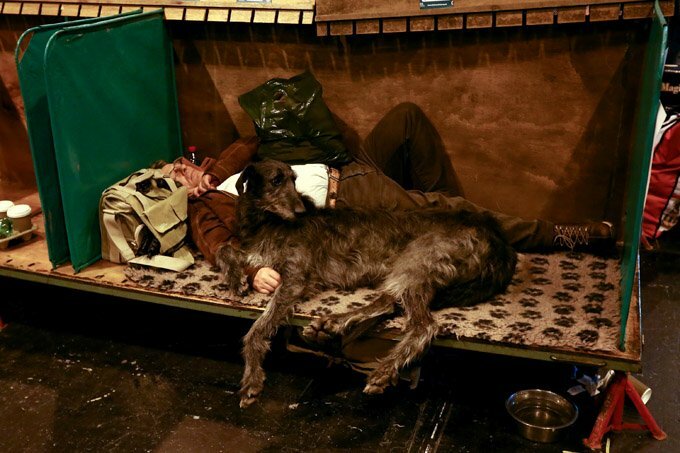 Says famous dog trainer, Victoria Stilwell: “Dogs only sleep with people or dogs they trust.” Mother Nature Network offers us 9 tips for sleeping soundly with a dog in your bed. From Great Danes and Great Pyranese, to Teacups and Terriers, let’s all have a good night’s sleep!